Sometimes there is so much time and effort put into packing and finding a new place to live that you just tidy up your current home, let the REALTORS come in and take some pictures and breathe a sigh of relief when your home is officially on the market. It is worth the time to put things in order and stage your home to show its full potential. As we all know, first impressions are the key to even being remotely interested in a house. Some folks could drive right past your house if your curb appeal is lacking. Simple things like weeding and mowing the yard are good first steps. If you want to go a bit further, have some nice flower planters or an appropriate seasonal wreath on the front door. Remember, they may never potentially see the inside of the home, if they can’t get past the outside! Let the sunshine in!! The first thing you want the potential homeowner to see is how light and airy your home feels. Natural sunlight enhances a person’s mood, as well as makes your home shine with natural beauty. Open all the blinds and if the weather permits, open some windows and let the fresh air in. As hard as this is, it is time to de-clutter and minimize. Potential buyers want to see the HOUSE and not all of the STUFF you have. The goal for them is to imagine their family photos on the wall, their clothes in your closet and even their food in your pantry. Just think of it as a perfect time to Spring Clean or donate your un-used items to local organizations. Don’t forget that you can get a tax receipt for anything that you donate. There is nothing more off putting then foul odors. Whether it is trash, litter boxes or other pets in the house it is important that your house smells clean. However, many fragrances can be a bit overwhelming also such as candles. Try a nice room deodorizer with a citrus scent. It is a soft fragrance and makes your house smell fresh and clean. It’s the little things that could bring in potential buyers. 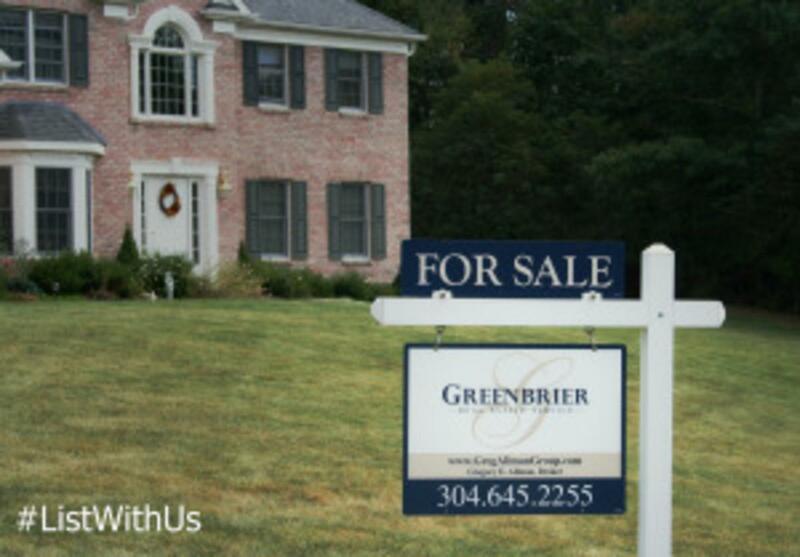 The REALTORS at Greenbrier Real Estate Service are here to answer your questions and give you helpful tips tips to get you on the right track to sell your home!